Buy The DCast a Coffee. - Ko-fi ❤️ Where creators get paid by fans, with a 'Buy Me a Coffee' button. 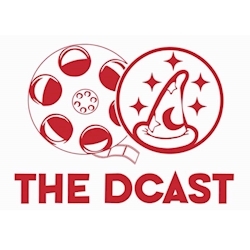 The DCast started in 2013 and has been talking all things Disney, Pixar, Marvel and Star Wars for almost 6 years. After closing up shop in September we thought the show would be no more, but our founder Andy Herndon couldn't stop talking about his love of Disney and decided to reboot the Podcast. We have a new set of hosts on the reboot. Along with Andy we have brought our Shawn Williams and Chris Brown who are all Disney lovers who live near Andy in Southern Oregon. Secured Payments. Support goes to The DCast's account. Upgrade The DCast to a yearly Gold Membership with a one-time payment.